Hema Malini claimed that the previous dispensations did not have the courage to do what the PM has done. The actor-turned-politician, who is recontesting from the Mathura Lok Sabha constituency in Uttar Pradesh once again this year, also hit out at the Opposition, saying that it is "desperate" as PM Modi has ensured that there is no corruption in the country. Referring to the various schemes and initiatives launched by the central government, she claimed that the previous dispensations did not have the courage to do what the PM has done. 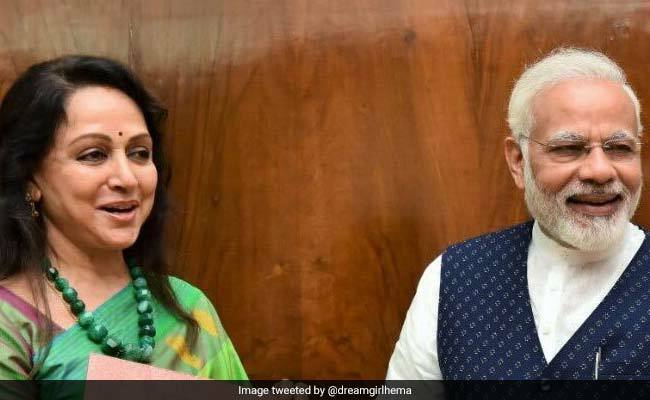 Asked why she, unlike most BJP leaders and cadres, had not added the ''chowkidar'' (watchman) prefix to her name on Twitter, Hema Malini said she is also a ''chowkidarni''. "Of course I am also a ''chowkidarni''. Our prime minister is a ''chowkidar'' and we all are assisting him. He is taking care that there is no corruption in the country and that's why the Opposition is clueless and desperate," she said.